I haven't been around the blog much the last few days - I'm currently visiting my Dad! I had hoped to schedule the next installment of Encouraging Bloggers, but never had enough time and don't have enough time today to get it posted as I'm without my computer. I will post the first part of the series (read the Intro here) next Thursday! Thanks for your patience! 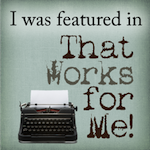 In the meantime, a great way to encourage bloggers is to leave a comment on a post! So many of us are busy and only have time to read posts in readers. I encourage you to take a few minutes over the next few days and leave comments on some blog posts. Comments help a blogger to feel like their words are "heard" and appreciated. Try stopping by a blog you haven't visited in a while and just say hi or comment on a blog you regularly read to let the blogger know you are still there! If you're on Twitter, share some encouragement for bloggers and use the hashtag #encouragingbloggers ! 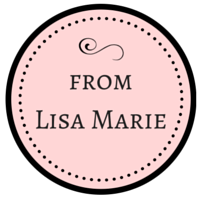 Let's spread a little love and encouragement throughout the blogosphere! Have a terrific day friends! See you soon! You are right! I love it when people leave comments on my blog. It makes you feel like people are actually reading what you write. :-) I look forward to next Thursday's post! Oh yes, comments are wonderful! 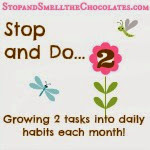 Love the look of your blog - chocolate everywhere - YUM! Thanks for the encouraging words! Have a great time with your Dad! Can I possibly miss someone more when I don't even get to see now? Cause I do. Just knowing you're not home makes me miss you more. I don't feel like I can just call at will right now and that bothers me.LOL! Hope you're having a good time with Dad. Big you don't have to worry about me leaving a comment as I'm you're biggest fan size hugs to you! I went to the intro first and left a question as to when we were beginning...so ignore it as I found my answer here! Enjoy your Dad and have a safe trip home!! No worries about not having a post....We will all be here when you return! I don't even know how to read through a reader. I read all blogs as they appear on my dashboard. I feel the same way about leaving blog comments as I do about leaving Facebook comments (or at least hitting the "like" button.) If the person is speaking (through the medium of the written word), then isn't it rude to not respond to them. Shouldn't we respond when someone says something? Otherwise, the person is just talking to himself. So, I always try to leave comments when I've read a post. Of course, I can't read every post that comes across my dashboard, because I follow over 100 blogs. But I DO read a couple dozen every day, and I pretty much always leave a comment...just because I look at what the author has said as a form of conversation. Enjoy your time with your dad. Catch you next installment.